Hong Kong Photography Book - Why Am I Me? Design and layout for a collection of my photography taken in Hong Kong on multiple trips over a 14 year period. 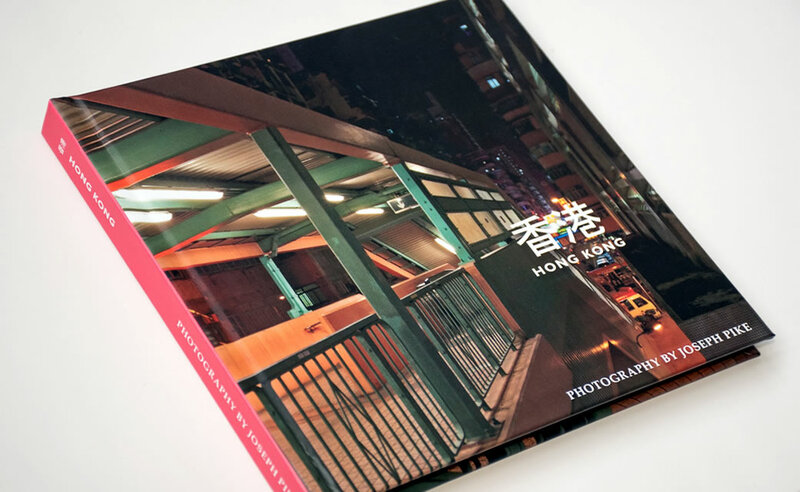 It’s been a long time in the making, but I recently finished the design for my book of photos which is entitled Hong Kong – Photography by Joseph Pike. It is perhaps self-evident from the title what the book is about – it’s a collection of my photographs taken in Hong Kong on multiple trips over a 14 year period. I self-published it through Blurb and it is available in both paperback and hardback versions. The project involved scanning slides and negatives from the pre-digital era and editing these and digital images using Lightroom and Photoshop. I found choosing the photos to print a really difficult process, but finally whittled the book down to 120 pages. The actual layout, completed in inDesign, was relatively straight forward by comparison and completed quickly. Page spread featuring the photographs HSBC Buidling and the Bank of China Building (left) and Jardines at Night House (right).